A: I originally entered the workforce via a traineeship program, involving a tertiary qualification from a technical college, so when I decided to gain further qualifications after many years of work, I was in the position of not having a bachelor's degree. I did originally look at completing a Bachelor's degree in IT, part time, but I found the initial content too basic and the time required to complete it too long. The IT Masters courses were the only ones I found that were at a suitable level of difficulty for someone with my amount of job experience, and that provided a good qualification in an achievable time frame. A: For the last 17 years I have been working for a major equipment provider company in the telecommunications field, mainly providing customer support services, but also doing product development and testing, and network design. However in a development that was not entirely coincidental, I was made redundant from my job in the very same week that I graduated from CSU (!!). I say not coincidental because, for a number of years, I have known that my job was not a secure one and that there was not a lot of opportunity within the same company, and this was one of the main drivers of my decision to gain further qualifications. A: Well, in the circumstances I now find myself, I hope so! After taking a break for a family holiday I will be searching for new employment. Hopefully that will be in a security related area of the IT field, or within the wider IT field in general rather than just telecommunications, and I hope that my CSU qualification will stand me in good stead. Time will tell! A: For me the biggest challenge was the time required for study. Having a full time job, sometimes involving travel and weekend work, as well as a young family, meant that finding time to complete all of the study and work required for each subject was not easy. However I managed it by trying to do most of my work for the course later in the evening after the kids were in bed, and while on the way to/from work on the tram (a long commute by tram sometimes has its advantages). I occasionally studied during my work lunch breaks as well. The other approach I took was to only tackle one subject at a time, but over all three terms within the year. This allowed me to complete my Masters degree after four years of part time study, while allowing me to better balance my work, family and study time. Finally I must repeat something to which I referred to in my speech - the support offered by my wife, especially in sometimes spending time with the family which allowed me some study time on my own, was invaluable. A: Completing a Masters degree is not something I do every day. Given the amount of time and cost involved, and the value that a degree provides, I intended to put in a proper amount of effort. I believe that the long experience I have in the telecoms/networking industry also gave me a good start. I think that another factor was that I had a great deal of interest in a lot of the material covered in the various subjects - after many years of learning I still enjoy it if I have an interest in the subject, as I do with IT. A: Although I understand that the subject was included in the course partly because it is required to be included, I found the IT Ethics course particularly interesting and rewarding. Ethics is an area that I had never studied before, and I found it to be a very interesting and thought provoking area. It is certainly something that I believe should be included in these courses, in fact in all courses in some shape or form. A: A work colleague was looking at the IT Masters courses and they sounded like they would be a good option me, having not completed any Uni previously the idea of getting a Masters with a few years study was very appealing, and it seemed to recognise my experience in the industry better than other options. A: My title is Senior Network\System Analyst. Myself and another Network\Systems Analyst take care of approximately 40 Network devices and 60 Servers. As the senior staff member I am also in charge of projects and future planning. A: Not really, as you can see from my job title and the course name I do work in a related role. My goal in completing the course was to show on my CV that I have not only the on job experience but also the technical knowledge and theory behind it. This was not to further my career but to ensure if I do change roles or look for advancement that my CV was more complete. A: Time, this was by far the hardest part of studying and working full-time. Finding the time to complete the hours of study required. The time is always there, but there are so many things fighting for your time, and many of them are far more attractive that sitting down to study, you need to be strict with yourself and designate dedicated study time if you want to achieve good results. A: I have found as a mature aged student I was more driven than when I last studied, it had been more than a decade since I completed study at school and Uni and I really didn't know what to expect from myself at the start. Some good results in the first couple of subjects did help set the bar a bit higher than I might have expected, and so I was striving to keep it there, managing to even improve as the course went on. A: I found ITC-597 "Digital Forensics" to be the most rewarding subject, mainly due to the fact that it was far removed from my day to day work and that it shed some light on some of the ways used to recover and find data. A: I wanted to further myself – not for career purposes exactly but more to keep learning. I grew up in a family that ran their own business and have mostly been self employed but everything has been self taught. I already had the Microsoft Certifications so wanted to learn more on the business side of things. A: I am an IT Consultant and trainer in the Microsoft Client and Server space. I specialise in rapid, large scale deployments and have been behind the scenes somewhere at most of the large scale Microsoft events around the world. A: The course made me look more at the way that I was running the business and how to ensure that the available resources (time and money) were best used. The nature of the course meant that not only did I learn from the content but also I needed to change my habits to ensure that I could complete the required courseware. A: Time – a lot of my role involves traveling (both domestically and internationally) and this means that I am on the road a lot – which means that in between engagements I had to try and work in keeping up with the course. During the time that I was completing the course, we also welcomed to the world 2 children – I remember completing a final assignment while in a chair next to my wife after the birth of our first child – wrangling my role as father, husband and business owner into the available time was the biggest challenge! On the flip side – my family have also been my biggest supporters as well – the cheer from my 3 year old daughter when I graduated was enough to make the Chancellor pause! A: Determination to finish and not to have wasted the time that I had away from my family. I also wanted to prove something to myself – that a mature aged student, with a family and a business could complete the course! The support from the university and from the IT Masters staff helped me through some of the hard yards! A: I would say all the subjects were rewarding in their own way – the marketing subject gave me some great insights into the way that I was putting my company out into the world and made me rethink some of the strategies. However the subject that I was the most pleased with to pass was the business financials subject – I am not a natural with numbers and therefore had to really apply to get through it. I surprised myself recently when my wife was doing a similar subject in a course she is completing and I was able to help her to understand PV, FV and NPV! A: I am responsible for decisions and hands on regarding strategic database development projects within the entire business intelligence environment and across the group, which includes databases development, enhancement and Maintenance, Dimensional modelling, ETL, Data Mapping, Data Integration and Data Warehousing. A: Yes, immediately I completed my Master’s degree, I became so vast and knowledgeable in my place of work that it positively affected the way I worked, and I had a raise in salary and moved from been Data Warehouse developer to become the Data warehouse Manager. A: Studying from South Africa was a bit challenging as the time zones were significantly different. Sometimes you might be required to take a test almost at the same time with other student. However, with the help of the flexibility of some lecturers and the friendliness of other international students made it more worth it as I became more aware that I am not the only international student, as there are other students studying one subject or the other with me from around the world. A: IT Management issues and Topics in IT Ethics. It was so rich in content that I could speak or make arguments with a couple of my friends that had MBA’s from world class universities. The course affected the way I reasoned as a professional and as a human being. Overall, I love the way Charles Sturt and IT Masters structured their course as it combines different aspects of ICT issues. I might have done 12 subjects; moreover, they are so diverse. A: CSU offered a flexible way for me to attain higher education tertiary qualifications (through the graduate certificate pathway) that otherwise wouldn't have been possible as I never did an undergraduate degree. My Masters now augments my years of experience in the IT/Corporate environment. A: I am currently employed with Geoscience Australia as a Senior Project Manager. Geoscience is a fascinating place to work - one thing that I really enjoy is being able to clearly see the direct impact that the projects I manage have on ensuring better outcomes for Australia and Australians, for example managing the establishment of systems that facilitate convergence of multiple data sets to an internationally compliant standard that can then be delivered to users (industry, academics, public) through web services. In many cases this provides the end user with a much richer visual/spatial interpretation of the data and an overall better user experience. Data that in some cases would otherwise be disparate and inconsistent is now consolidated and can be more efficiently and effectively interpreted, analysed and relied upon as an authoritative source that can better inform Government and other stakeholders in decision/policy making; for example around hazard/risk management, environmental assessments or mining exploration. As a Senior Project Manager at Geoscience Australia I am responsible for establishing the tactical plan for delivery of projects including the transition in to 'business as usual' operation once they are completed. This involves stakeholder management, risk management, scheduling, budget management, reporting and generally just ensuring that the outputs are delivered to an agreed scope and quality standard. A large part of this involves 'people management' and managing teams. A: Absolutely, I am much more self aware in my communication. I am also confident in the 'hard' skills that I now posses in project management, for example: earned value, critical path analysis, probability, cause and effect, improvement curve, NPV, IRR, Payback, advanced scheduling and network analysis, resource levelling etc. I now feel that I am much better placed to advance my career (if/when I choose to do so). At the present time I am very happy doing what I do at Geoscience but it is always nice to know that with the additional skills and knowledge (and qualification) that I now have, I would be better positioned for opportunities and/or to take on new challenges in the future. Q: Q: What was the biggest challenge you faced in completing your study? A: It wasn't easy. I was balancing full-time work, family (when I started the degree we had just had our first child and 18 months later had a second). I really had to be disciplined and there was virtually no time for recreational activities such as family, gym and music - the three things I am most passionate about. I found a couple of the units quite difficult as I was completely unfamiliar with the concepts so went in cold - for example Managerial Finance to me was the hardest unit - my advice to people doing that unit - don't cram, you may get away with that for other units but for finance (if you have never done it before) it is better to build your knowledge over time and practice the exercises over and over! I must say I was very relieved when I passed that unit, although at the time it was very stressful for me. A: My Masters unit ''Project Management Communications" was really valuable in providing me with additional knowledge, tools and techniques. The tutor (Brenton Burchmore) for this unit was exceptionally good in his delivery of the course, a lot of his quotes are tattooed in my memory, for example: "Deliver information that creates understanding that inspires action" I am now very conscious of the above when I communicate. For example if I send an email, I ask myself is it consistent with the above? Have I delivered information that creates understanding that inspires action? Whilst something as simple as the above quote may seem obvious, it is surprising how often these principles are not followed in everyday communication. This is just one quote of many and a tiny part of the overall unit, but it definitely has stuck with me. Since applying the principles of what I learned in this unit at work, I have noticed a boost in my career; the relationships I have and my overall communication effectiveness to the point where last month my Division Chief presented me with the ''Performer of the month award" in at our end of year Divisional briefing. I attribute this partially to some of the skills I learned in communication/stakeholder management from the subject. Whilst I was quite confident in my communication ability prior to the subject, I felt that the subject nicely consolidated what I already knew and gave me new and different perspectives that took my communication capability to the next level. This is now paying dividends in both my professional and personal life. I have a side business writing and producing music for recreational and commercial purposes. I often find that some musicians can be 'unique' to communicate and/or establish productive relationships with. The communications skills I learned in this subject are quite transferable to this situation. A: Prior to the course I was only Cisco certified and now I’m Microsoft certified as well. I’m competent both in Networking and System Administration paths. This is a solid foundation for job security and opens more career opportunities. A: “IT Ethics” is the most rewarding subject for me. It goes beyond technical skills. This subject taught me to work as a real professional. Q: What exactly are you covering in your project? A: “I am addressing the question ‘How do you provide a cost effective infrastructure, to meet business growth and demands?’ This is a problem facing our company and all organisations that are aggressively growing. Q: Why did you originally choose to enroll in CSU’s Master of Networking? Q: What skills have you gained from studying at CSU? Jeff is president of the Canberra .NET User Group and the Chief Solutions Architect for Australian Special Information Systems (ASIS). 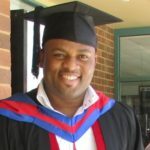 After completing his Master of Systems Development, he launched straight into a Master of Database Design and Management. Jeff has been in the IT industry for more than 14 years and has spent the past 12 years developing, enhancing and upgrading systems using Visual Basic 4/5/6/.NET 2002/2003/2005, C# 2005, Microsoft Access 95/97/2000/2002/2003 and SQL Server 7.0/2000/2005. Jeff is also experienced in System Administration, Project Management, Configuration Management, Application Package and Deployment, Team Leadership and Training Course Development and Delivery. Q: How has your course affected your career path? Q: What is your strongest memory of your experience of CSU? Q: What would you say to someone who was considering postgraduate study at CSU? Paul is a Principal Security Architect in Canberra where he investigates security incidents on the Australian Government Internet gateway. He is also completing his Doctor of Information Technology with CSU, researching the evolution of Internet based attacks against Government and commercial networks over time. Q: What are you hoping to achieve through your research? Q: Which factors were the most important when choosing to study at CSU? Q: How is your course affecting your career path? Steven finished his Masters in 2005 and has since moved on to Professional Doctorate with CSU. In his spare time he is the Manager of Technical Services for the NSW Department of Lands with 18 direct staff and a multi-million dollar budget. Steven strongly believes in the importance of Information Security Management Systems (ISMS), and the Professional Doctorate that he has started with CSU will see him investigate the ISMS employed by NSW public sector organisations. It will be titled “Protecting our Critical Assets: a Management Approach to Information Security” and is scheduled for completion at the end of this year. Q: Did completing the Masters course affect your career path?